E-commerce has grown exponentially in recent years, and is now integral to the retail industry as a whole. Most retailers occupy both physical and web stores in order to sell their products. Some companies sell exclusively online, cutting the many costs of having a brick and mortar store. E-commerce opens the doors to many new methods of marketing and branding, which tend to be a key aspect in the success of an online business. If you are selling merchandise online, your packaging can have a bigger impact on consumers than you think. Many online retailers now recognize the value in providing a unique and memorable packaging experience for their customers. When someone receives a package that they ordered online, it brightens up their day and provides an instant boost of happiness. Opening a package is like opening presents on Christmas morning, and maybe this is why so many people gravitate to online shopping. Packaging may not be crucial compared to the goods that are boxed inside, but it does have a noticeable effect on consumers. Customers are used to having a full experience while shopping; shopping in-store provides music, aesthetics, customer service, and design. Online shopping doesn’t include all of these added features, and packaging is a great way to make up for that. A customer’s unboxing experience should make them feel special, and remind them of the retailer they ordered from. There are many ways to do this including custom designed boxes, mailing envelopes, custom printed tissue paper, custom labels, and much more. According to a survey conducted by Dotcom Distribution, over a third of online shoppers said the use of branded packaging influenced their perception of a brand or company (1). Social media plays a part in this customer influence as well. The same survey also found that, ”thirty-nine percent of online shoppers have shared a product image or video on social media creating a ripple effect for brands that goes beyond the individual purchase” (1). Unboxing videos are extremely popular on YouTube and blogging platforms, as well as thorough product reviews. Youtubers and bloggers will likely comment on your product packaging, whether it be good, bad, or mediocre. Furthermore, if a customer receives something broken or damaged they might take their complaint to social media where it will be quickly seen by an enormous amount of people. This is all the more reason to package e-commerce items with care and ensure they are secure and protected. Custom e-commerce packaging doesn’t have to be ultra-fancy or ultra-expensive. There are a variety of ways to implement unique and memorable e-commerce packaging that can fit into anyone’s budget. 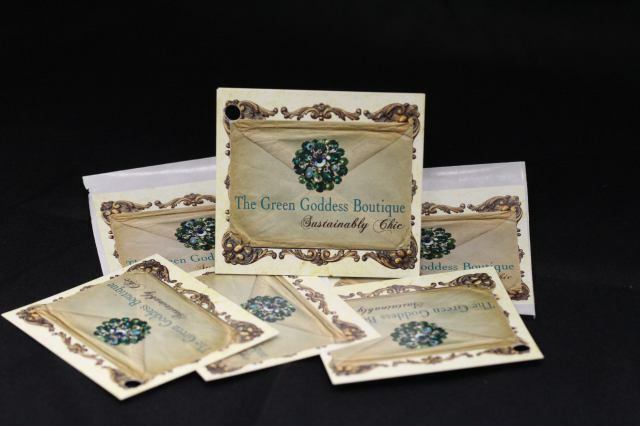 There are also many elements of packaging to consider, including boxes, tissue paper, custom mailers, labels, and more. You can be as simple or creative as you want, and you can still expect a positive effect from further customizing your packaging. For smaller businesses with limited budgets, there are some cost-friendly ways to personalize your packaging to create a stronger brand image and connection with customers. 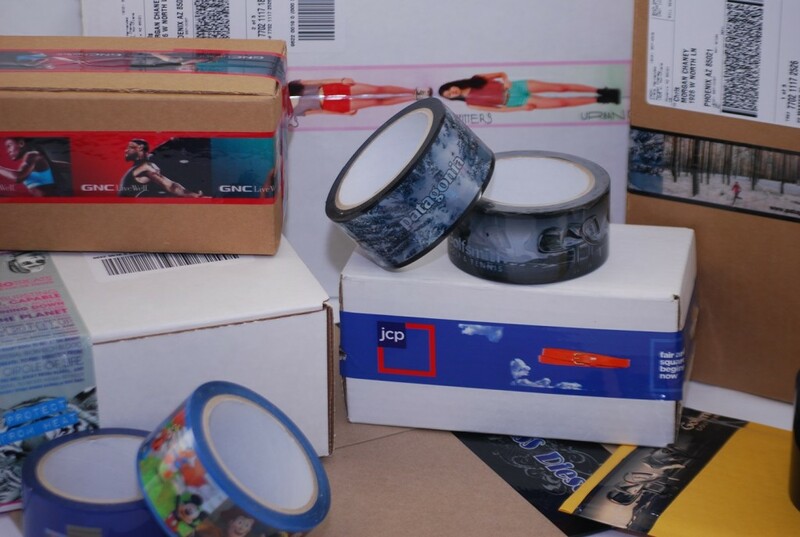 You can create custom labels, stickers, tissue paper, packing tape, or promotional flyers to incorporate in your packaging for a fair price. For very small e-commerce companies, a handwritten note included in your packaging can be that extra touch that makes you memorable and well-liked by your customers. This method is great for companies without a custom packaging budget, as it is very cheap and just takes a small amount of extra time. As business grows, the company can progress towards other methods of custom packaging. 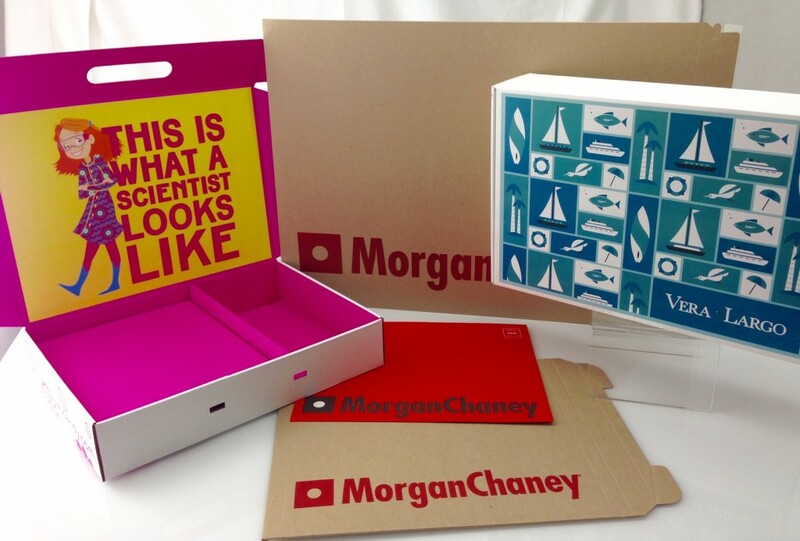 Larger companies can use any of the lower cost options, but may opt for completely custom product boxes that are uniquely made for their company. There is also the option of custom mailing envelopes and custom packing tape. Furthermore, reusable packaging is a great way to expand your marketing reach and engage customers even more. It may be practical to create custom reusable bags or boxes that customers are likely to use for months or years in the future. Reusable packaging is a great way to engage customers on another level and enhance their user experience. A more cost effective way of expanding marketing reach is to include a free sticker, magnet, or other reusable accessory with purchases. After considering all other elements, packaging at its forefront should be protective and safe for the products inside. Nobody wants to receive ripped packaging, or a damaged product. And the backlash from poor quality packaging can be extremely detrimental to your company’s image. Make sure your e-commerce products are packaged safely and securely before shipping. Be sure to have a good customer service system in place to handle damaged product complaints. 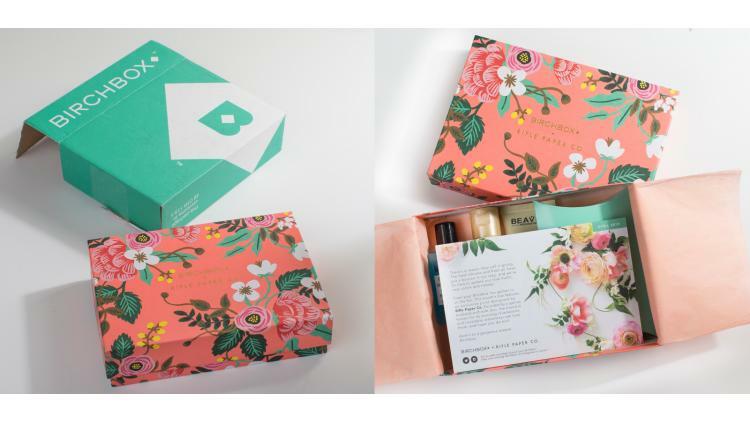 An example of successful e-commerce packaging is the subscription company Birchbox, with a free uniquely-designed and reusable box with each monthly subscription. Many subscription box companies offer branded and sometimes reusable packaging because it is considered an important aspect of their brand image and the overall experience. 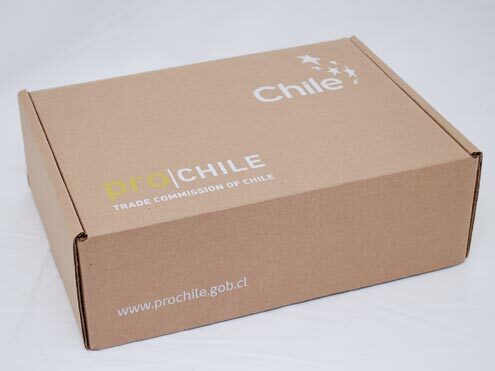 These boxes are often used as gifts as well, making the packaging presentation very important. Dollar Shave Club also has a unique marketing plan and packaging design. They created custom printed tuck-top boxes specifically to hold and ship their products. Their boxes also feature clever quotes and marketing copy to further reinforce their witty brand image. 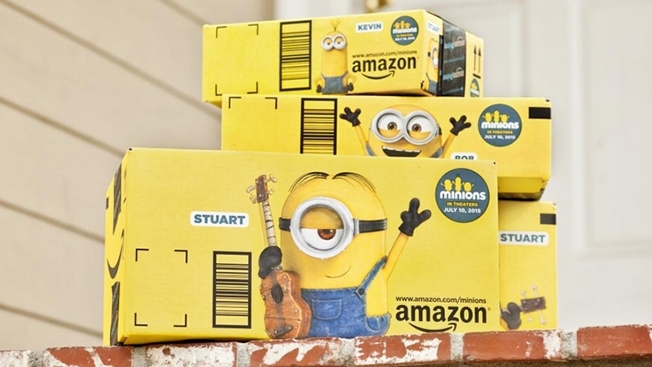 Amazon has employed a “frustration free packaging” campaign that has reevaluated the packaging process and involves less materials and less frustration for the customer. This method uses cardboard and shrink wrapping, with an easy-open outer cardboard box. Amazon informs that this packaging option is 100% recyclable and usually takes less than a minute to open, no scissors required (2). This packaging may not feature unique designs or stand-out colors, but it does aim to solve a common problem. There are no doubts that packaging will become even more innovative and unique in the future to compete for recognition and efficiency. You can probably expect to see more eco-friendly and efficient e-commerce packaging. There will likely continue to be an emphasis on clever packaging design to get the attention and approval from customers and official ‘unboxers’. The most useful packaging in the future will be eco-friendly and less wasteful options, as growing landfills are not ideal in any way. Amazon started to feature third party advertising on some of their packaging in 2015, which is something you’re likely to see more of in the future. For companies like Amazon, the outer packaging aesthetics are not as important, so they have more freedom. Featuring third party advertising on their corrugated shipping boxes is a great way to increase revenue without harming their brand image. Packaging featuring advertising may become a standard for large companies that normally use basic packaging for their e-commerce shipments. Innovative and quirky packaging has definitely gained momentum, especially in regards to social media sharing like Pinterest, blogs, and Facebook. Packaging has the potential to be even more creative and unique in the future as there are many designers and students with extraordinary ideas. Unboxing videos, blogs, and social media will all play a role in the importance of e-commerce packaging for certain products and retailers. E-commerce packaging is going to be increasingly important in the future, as online shopping is constantly growing in popularity. Combined with elements of sustainability, efficiency, and innovation, packaging will face some big changes in the coming years. Start thinking about your e-commerce packaging and contact Morgan Chaney to speak with experienced packaging consultants about implementing new ideas and packaging programs.